By using the Lay-out module it is possible to adjust the standard lay-out of a survey to match for example the company look en and feel. 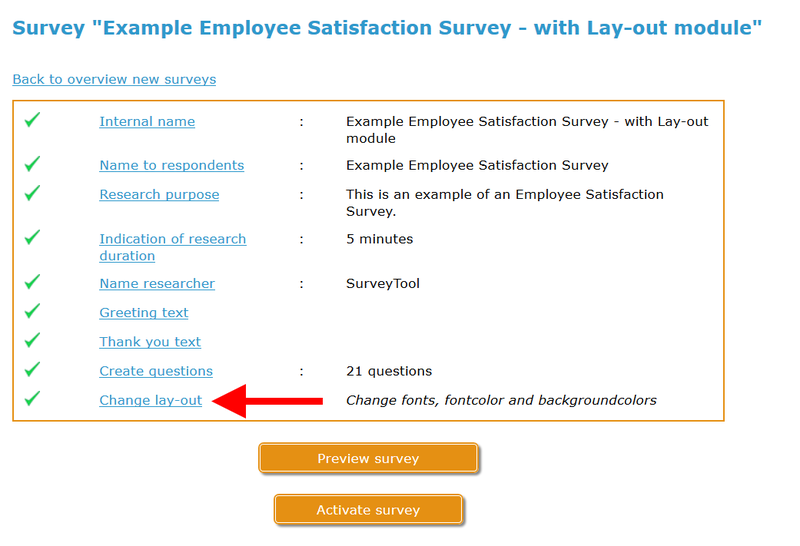 At the bottom of this page an example of an survey with and without the use of the Lay-out module is given. By using the Lay-out module to match the survey lay-out with the company colors increases the recognizability for the respondents and the respondent sympathy, thus enhancing the response rate. The Lay-out module can be activated in the page “Change Lay-out”. An exmaple of a survey without the Lay-out module active. An example of a survey with the Lay-out module active.